On your marks, get set — moo! Like most fantastically silly ideas, the inspiration behind the Cow Key Channel Bridge Run was sparked by the overconsumption of alcohol. While having a drink or 10 one humid July night, David L. Sloan — he of “Quit Your Job & Move to Key West” and “Roosters Are A**holes” fame, as well as a startling number of other books and businesses —found himself agreeing to run the Hemingway 5K the next morning with his admittedly more athletic friend. 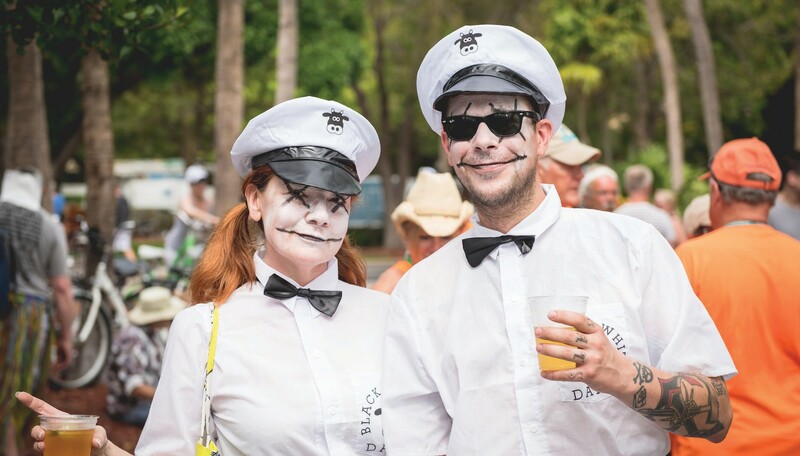 The Hemingway race, conceived in conjunction with the notoriously boozy author’s birthday, famously leads runners toward a finish line of free beer by way of Hemingway’s favorite downtown haunts. Sloan made his way through the race with what he describes as disastrous results, while his friend attempted to goad him into signing up for an even longer one. 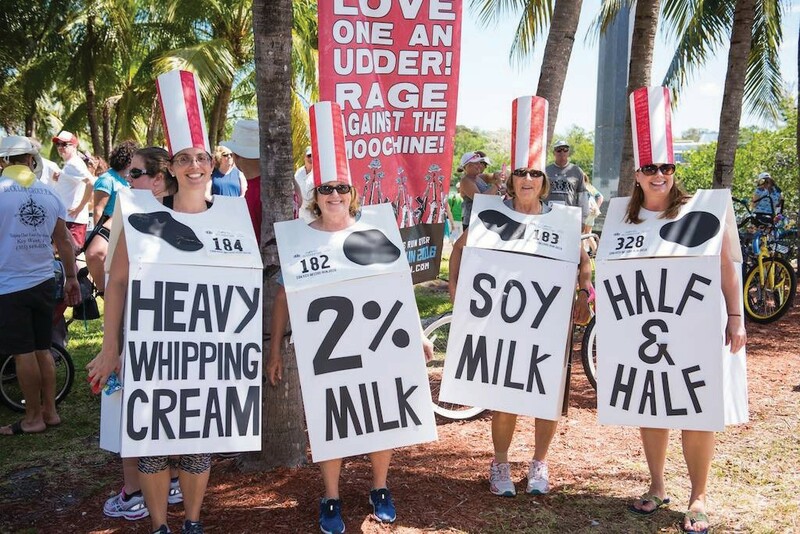 Beginning as early as 10 a.m., participants may park for free at the nearby Marriott Beachside Hotel and make their way to the grassy area that abuts the Key West side of the Cow Key Channel Bridge, which connects Key West’s main island to neighboring Stock Island. 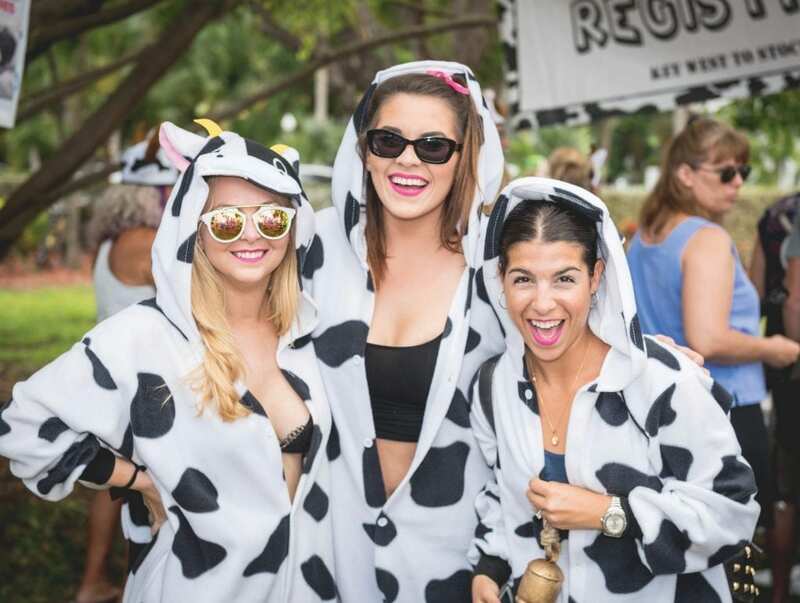 Here they are invited to “graze” in the event’s Costumed Cow Corral, inside of which newcomers may register and purchase swag, and where previously registered runners may pick up their bibs and T-shirts. 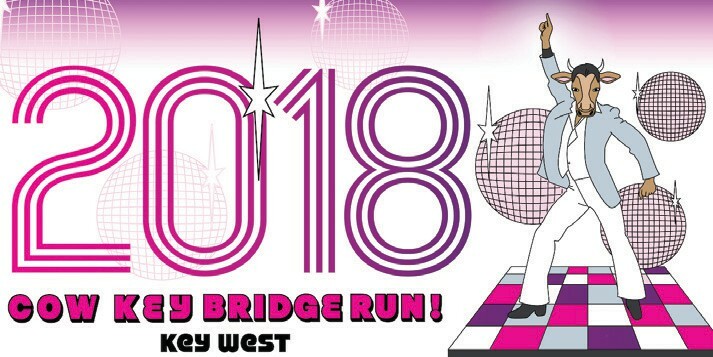 Mo the Sloth will be on hand for photo ops, and costume judging will take place until 11:45, at which point the race’s opening ceremonies are scheduled to begin, led by local celebrity Cow Key Channel Girl. At high noon, the Ringing of the Cow Bells will commence, after which the race’s various heats will be announced — the first, of course, being those athletic few who attempt to finish the fastest. (Those 23.1 seconds go by fast.) After the actual runners have crossed, the Pets with Humans heat will commence, followed by relay teams, Walking Cow Stampede, and the coveted Last Place heat. Sixty seconds after the race has officially begun, the after party will kick off at the Sunset Green Event Lawn, located across the bridge at The Gates and 24 North hotel properties. In addition to announcing award winners, the party will feature live music, a full bar, food trucks, door prizes, wine tastings, and a suggestion box for the next race’s theme (Lime in the Cowconut? Cowvert Operations? I digress. ).